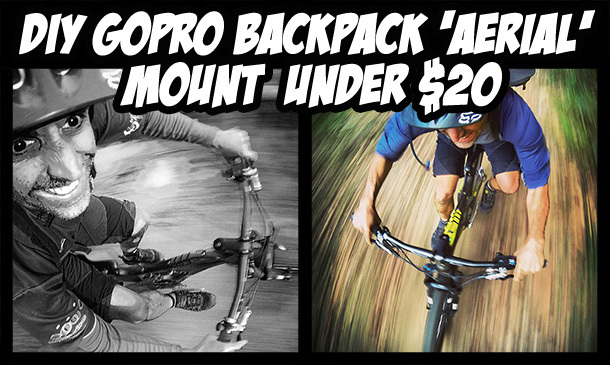 GoPro accessories don’ t have to set you back a small fortune! GoPro accessories don’ t have to set you back a small fortune. 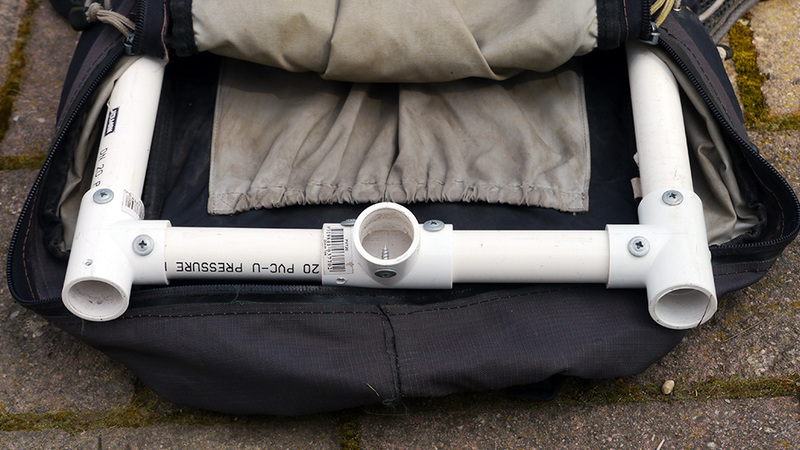 A while back I made a MTB backpack based ‘aerial’ mount for my GoPro out of PVC tubing for less than $20. Sweet! While working at Mt Buller last Summer on the new EPIC MTB trail I got the itch to make a backpack based pseudo ‘aerial’ camera mount. While GoPro pics and video shot using helmet mounted booms are definitely cool, I reckoned a DIY backpack based GoPro mount could be a fun (and cheap!) alternative to explore. It would also be pretty cool if it meant I could take ‘aerial’ footage without interrupting the flow of the ride, and as it turns out without even being able to see or feel the camera mounted to my body. 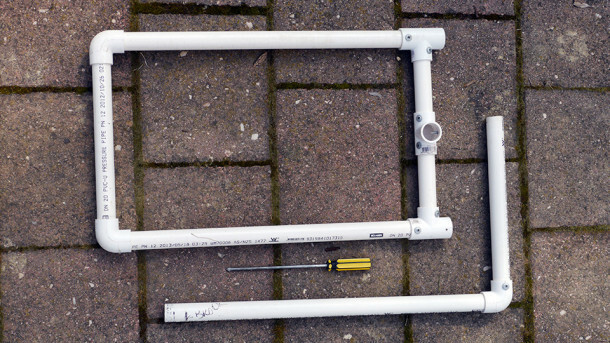 The frame needed to be lightweight, modular and cheap to build, repair and add to. 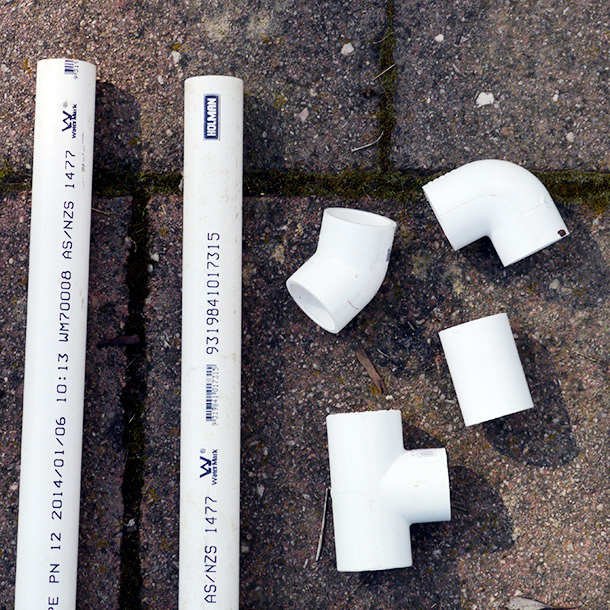 I chose PVC tubing the same diameter as a MTB handlebar. I figured it was important to not overbuild the frame to be sure that it would self destruct as needed in the event of a crash or if it got hooked up in trailside branches while riding. Also while the camera needed to be held fairly steady while riding, I thought some dampening due to flex would be preferable to an overly rigid frame. Lastly it made using the GoPro mount a snap! 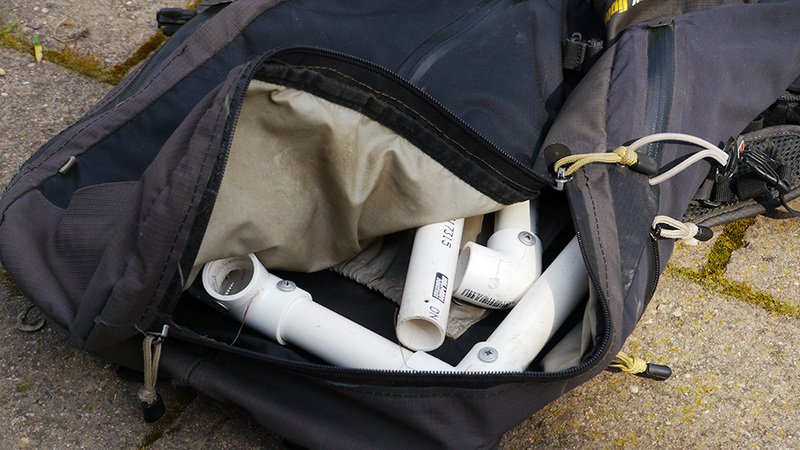 I grabbed a few lengths of PVC tubing and a handful of assorted joiners and got to work with the handsaw, creating a basic frame that fitted neatly into my backpack. Wanting to leave my options open I included left, right and center mounts for the camera pole. Once I’d determined the angle needed for the camera pole to clear the back and top of my helmet when mounted in the center position, each join was screwed to ensure the PVC frame didn’t disintegrate while riding. The frame stows away neatly in the backpack and doesn’t interfere with the ability to carry all the usual stuff – water bladder, food, tools, etc and only takes a couple of minutes to set up or take down with the help of a small phillips head screwdriver. When the camera pole is in use I just zip the bag up snug around the pole wherever it is positioned. The neat fit of the frame and weight of other contents in the backpack keep the frame snugly in place. With my current setup the GoPro isn’t visible with the camera pole mounted in the central position overhead. 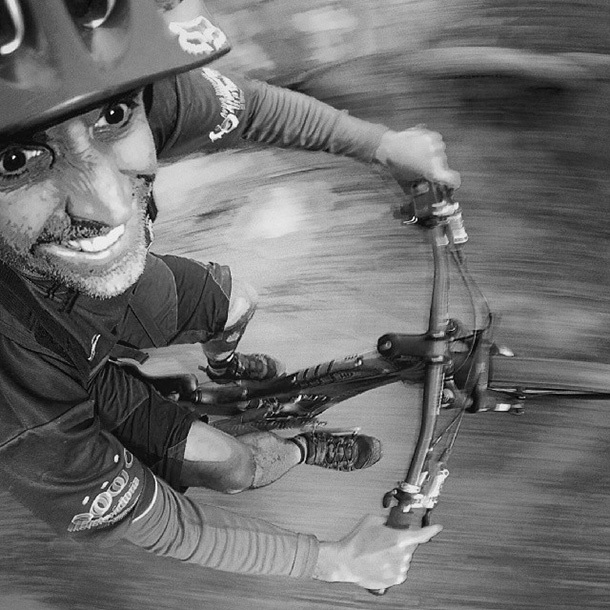 It’s a pretty funny feeling especially when you’re warping down a descent- knowing the camera is up there somewhere but not being able to see or feel it. With the weight of the frame, pole and camera distributed in the backpack there’s no sensation of carrying anything extra on your body – way more fun than feeling the camera weight on your helmet. Not having the camera pole directly mounted to the rider’s helmet also eliminates the regular GoPro giant rigid head/tiny bobbling body look. As you can see when upright it’s easy to get snagged on overhead branches, but once in the riding position it profile is low enough. With my setup this kind of stuff is generally far less of an issue when the camera pole is mounted on the left or right side as the pole and camera sit far lower – much more directly in front or to the side of your face. 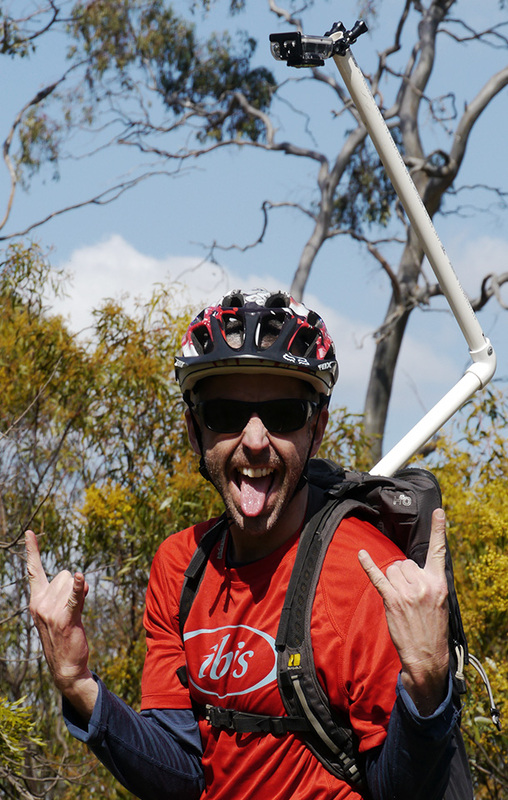 I was stoked with the results of the first test run – down the high speed Delatite River Trail at Mt Buller. The PVC tubing frame held together and it didn’t take long to forget it was even there. 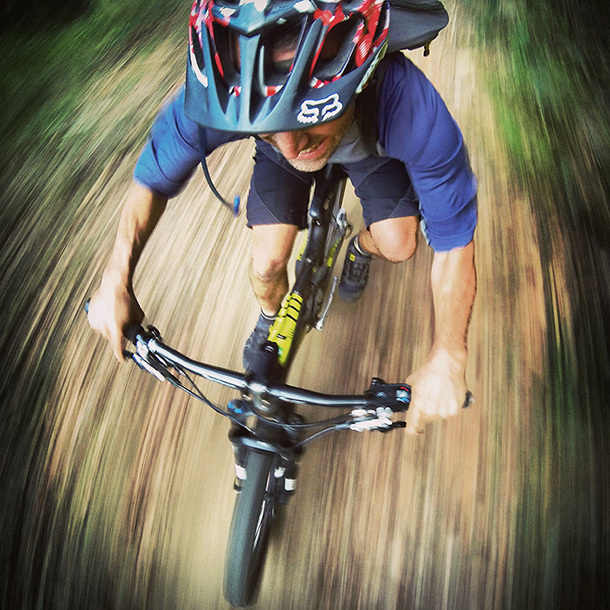 I used the GoPro wireless remote mounted to the handlebar to fire sets of 30 shots in 3 seconds every now and then. The proximity of the camera to the rider and ground combined with the high speed created what I think is a pretty cool motion blur effect. I’ve played around with the backpack mount a few times since then. Here’s a photo taken with the camera pole in right side mount with the camera sitting just out to side of the rider’s face, once again fired using the wireless remote mounted on the handlebar.